Towards the end of September 1810, Wellington had positioned his army at the convent of Busaco on a long, high ridge stretching ten miles north from the Mondego River. The ridge rose steeply to a height of 300 metres in some places and the men had spent the last two days venturing back and forth over the edge, repelling the attacks of various enemy divisions. Although the French had clearly underestimated the strength of the position held by the British and Portuguese infantry and were suffering heavy casualties, they did not seem at all inclined to give up. Summary: Grant and De Lancey’s relationship begins to develop after the Battle of Busaco. 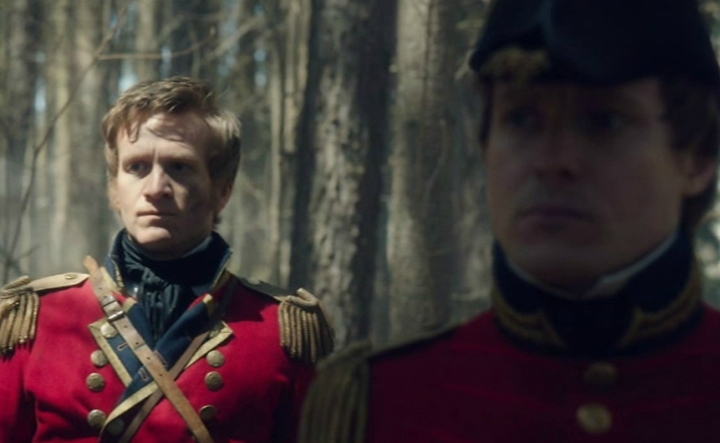 Author’s Notes: Technically, as these events take place in September/October 1810, it should be Lieutenant Colonel De Lancey and Captain Grant but for some reason I decided to go with the ranks (and relative ages) from the show. I may also have taken some liberties with the details surrounding the Battle of Busaco and the timing of Grant’s mission in Chapter 3.